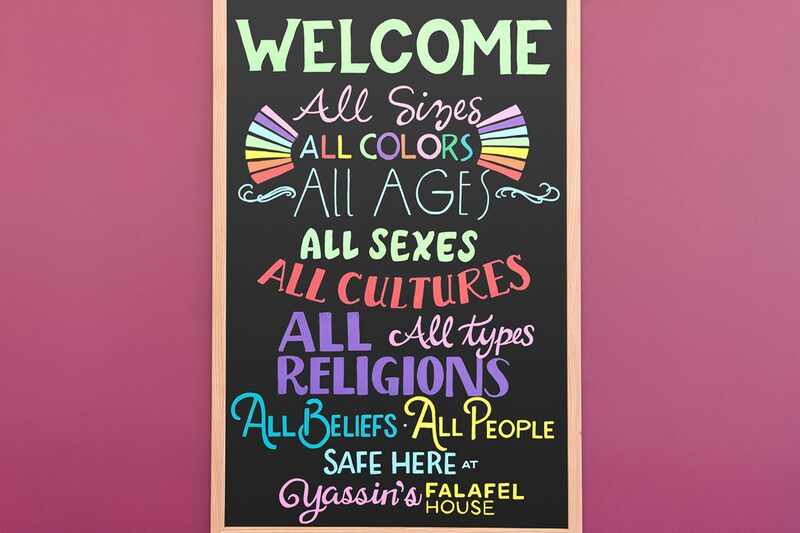 Square seller Yassin Terou started his business, Yassin’s Falafel House, in Knoxville, Tennessee, after arriving from Syria in 2011. We first shared his story as a part of our For Every Dream series. In December 2018, Reader’s Digest named Yassin’s Falafel the Nicest Place in America. 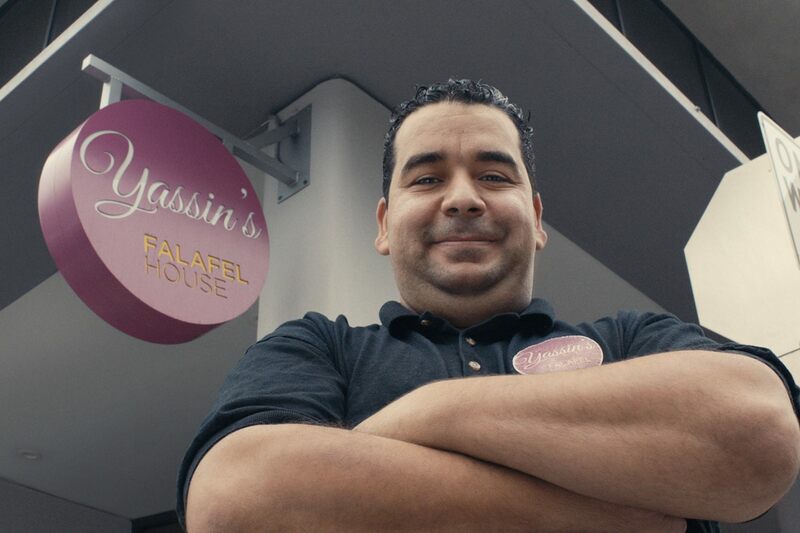 We reached out to Yassin to talk with him about his award, an appearance on Good Morning America, and how you can make your business a nice place, too. Square: What inspired you to start your restaurant? Yassin: When I first arrived here, it was hard to find a job, so sharing my food was something I could do that I love. Food isn’t just something to make a living; it allows you to build a bridge to people. You’ve created a really special place. How have you fostered inclusivity and hospitality at your restaurants? As an immigrant, you always want to avoid anyone being racist against you, or treating you badly. I wanted to create a place where we provide love and open our hearts to people, regardless of what they believe and how they look. We always want to pay kindness forward. You recently won “Nicest Place in America” from Reader’s Digest, and were interviewed on Good Morning America. Congrats! What was that like? It was really a dream come true — I still can’t believe it. It was a very big surprise and it shows that we’re doing the right thing. It’s a big encouragement to continue to do what we’re doing, and do more. What advice would you give to other business owners who want to foster a similar environment at their restaurant or shop? Start by asking yourself how you like other businesses to treat you. As a customer, when you go to a business, you know how you want to be treated. Treat your customer as you treat yourself. When you make food for them, serve them the same food that you eat. Every business needs money to grow and stay afloat. But focus on creating a good relationship and connecting with the community. That’s key. When something is going on around the city, we like to sponsor the event. We also always make an effort to connect with the community and ask people how we can help in times of trouble. As a business, you can’t just stay in your kitchen — you have to be a part of the community and connect with people. How do you get the word out about your location and other events? Most of our marketing is done via social media. It’s great to get the word out. We’re also always trying to invest in our community to get the word out. I didn’t know anything when I came to the U.S. I didn’t know what the right tools were to use to start my business, or who to work with. Every business owner has these challenges — all these business tools you use are going to affect you for better or for worse. In the past few years, we’ve grown so much. Today we have almost thirty employees and two stores. Right now we’re focusing on logistics, how to make things go well in the kitchen as things expand. But after that — the dream will never stop. I want to have a safe space for everyone.